Free for puppies (dogs under 2 years old) and their people. 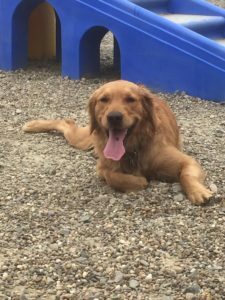 Puppy Parties are an occasion for puppies to romp, frolic, cavort, frisk, roll, jump, run, have fun and play with other puppies and people in a supervised environment. Trainers and staff are available to answer any questions you may have about puppies. At the Party, Puppy Playgroups are organized by size – so little pups aren’t overwhelmed by big ones. All Puppy Parties are supervised by our staff. We encourage everyone, especially children, to ask questions about what they see at the Puppy Parties. This helps people learn about the many varieties of dogs, their behaviors as well as the many responsibilities of enabling a puppy to grow up to be a good dog! 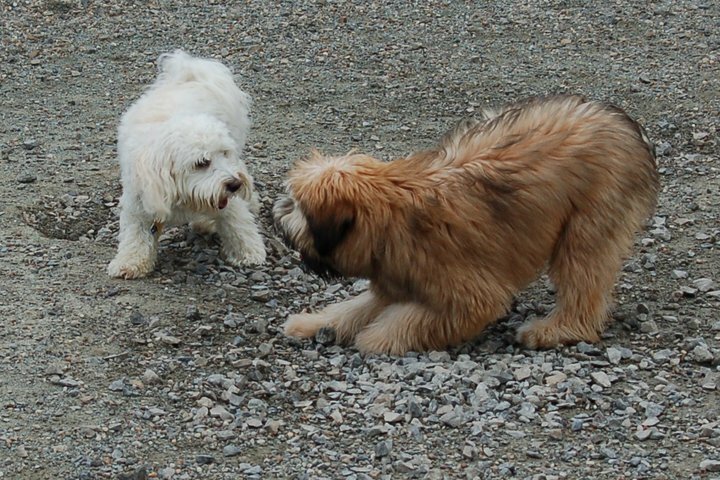 If you have a dog, if you are thinking of getting a dog, or if you just like to see puppies playing, we welcome you! Check out the Event Calendar for Puppy Party dates and details. Puppies over 6-months old must be spayed or neutered to attend a puppy party.